When you think about “The American Dream,” it’s tough to not conjure up a story very similar to that told by Chris and Robin Sorensen, co-founders of Firehouse Subs, one of the fastest growing fast casual restaurant chains in the United States. To get a better idea of what goes into owning and operating a franchise location in this impressive company, we chatted with with Matthew Ward, a franchise owner in Longmont, CO, with plans to open a second restaurant in Loveland in just a few months, and a third opportunity in development. 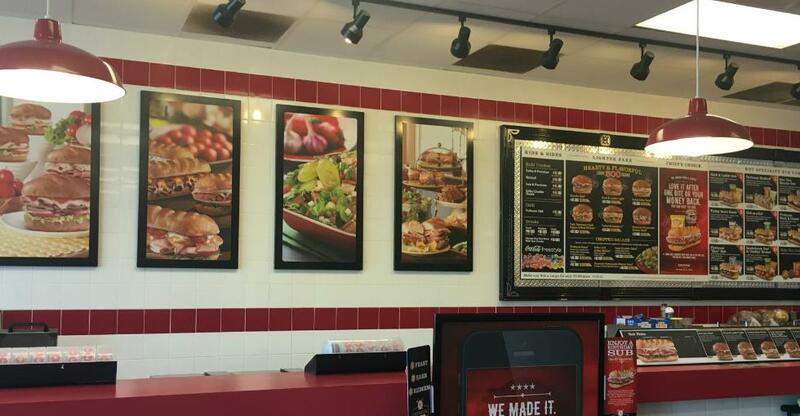 In this first of a two-part series, we discussed how Matthew came to purchase a Firehouse Subs franchise and what it’s like to run one. Living in Jacksonville, Florida after college, Ward had the opportunity to visit the second Firehouse Subs restaurant ever opened. “I ordered a NY Steamer and it was phenomenal. So it quickly became my favorite place to eat,” he says about that introduction to the fledgling restaurant chain. Later, while visiting family in Sioux Falls, SD, Ward saw a sign announcing a Firehouse Subs restaurant opening up in the area and realized how much he wanted to be able to order another NY Steamer when he was at home, but the company had not yet expanded to that area. From that day on, he started investigating how to open a franchise location of his own. Ward opened his first restaurant (the Longmont location) after a significant amount of time researching the area, the competition, and the demographics. In such a highly competitive market, the location can easily make or break a young restaurant. From an insider’s perspective - Ward has worked in the restaurant industry most of his life - this is not an entrepreneurial effort for the faint of heart. Customer service is a key ingredient in every interaction and decision, since repeat customers and word-of-mouth advertising are so crucial to a restaurant’s success. But the hard work is well worth the effort. If you’ve never had the pleasure of entering a Firehouse Subs location, you should try it. Upon coming through the doorway, you will unfailingly be greeted by a loud and hearty, “Welcome to Firehouse!” from the entire staff, in unison. The greeting goes back to the company’s mission statement, where “heartfelt service” is a top priority. As Ward explains, the greeting is just a natural extension of the service-based culture Firehouse Subs has created. Various companies handle their franchising systems differently and the amount of support franchisees receive from headquarters makes a huge difference in how successful they can be. In the second part of this interview series, we will dig deeper into the day-to-day operations of a successful Firehouse Subs franchise location, and how Matthew decided to expand to multiple locations. If you can see yourself chasing down the American Dream through fast food franchise ownership, check out what restaurants for sale right now.